Lakewood police in Ocean County NJ are investigating the tragic death of a two-year-old child who died as a result of a car accident. The fatal incident occurred outside the Woodlake Manor Complex, which is located on Woodlake Manor Drive in Lakewood, New Jersey. According to law enforcement officials, the victim’s aunt, a 33-year-old Ocean County woman, was taking care of the boy. The woman was about to leave the apartment complex, but first she wanted to move her motor vehicle closer to the family’s apartment in order to make it easier to load packages. The driver did not realize that the child had followed her outside the apartment. As a result, she was unaware that the boy was lying on the ground behind her vehicle as she backed up. Tragically, the motorist backed her car into the young victim. The young victim sustained significant head injuries as a result of the auto accident. After the accident, the aunt immediately dialed 911 to alert local police and to request emergency medical responders. At the same time, a neighbor reportedly overhead the frantic 911 call and offered to drive the victim to an emergency room. The neighbor then took the aunt and the victim to Ocean Medical Center in Brick, NJ. Doctors at the medical facility tried valiantly to save the victim’s life, but they were not able to do so. He was pronounced dead at the Brick hospital. Meanwhile, Lakewood NJ police officers investigated the accident and went to the emergency room to speak with the victim’s family members and any witnesses to the accident. That’s where police learned that the motorist was the child’s aunt and that the boy was in her care. Lakewood police officials stated that there have been no criminal charges filed against the motorist in this case. According to a lieutenant with the Lakewood Police Department, the boy was not visible to the driver when she moved her car. Although no charges have been filed, the fatal accident remains under investigation by several law enforcement agencies, including the Lakewood Police Department Traffic Safety Unit, the Lakewood Police Department Detective Bureau, and the Ocean County Prosecutor’s Office. 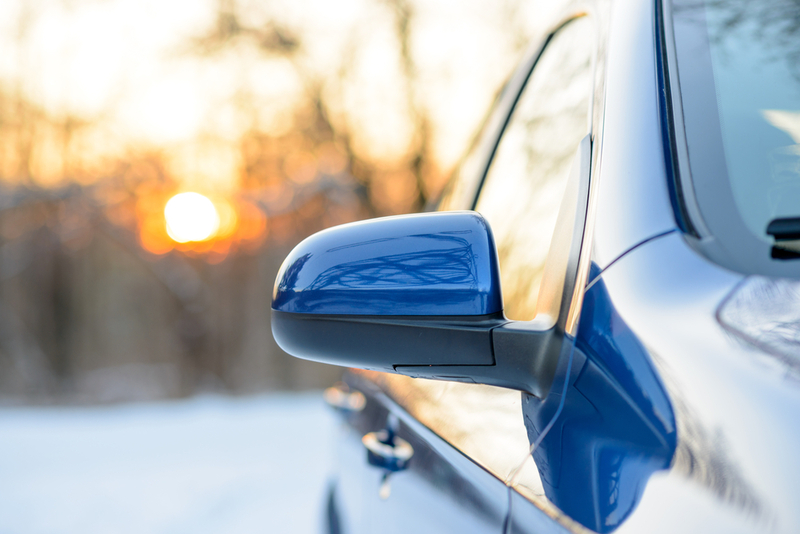 There are always going to be spaces around your car that are not fully visible through side mirrors, rear-view mirrors, or the front windshield. The end result can be a blind spot accident. Blind spot accidents pose significant risks to pedestrians on NJ roads and in parking lots. Anytime a driver cannot clearly see the area immediately surrounding their vehicle, there is an increased likelihood of an accident. While drivers are generally aware of blind spots while driving on highways and preparing to make lane changes, they often fail to take necessary precautions when pulling out of parking spaces. Do not risk your safety, or the safety of others, while operating your car. If you are sitting in a parked vehicle and find yourself unable to see the area around the vehicle, take a moment to adjust your mirrors. If you still can’t see clearly, consider waiting before you proceed. And always proceed with caution. You should always try to be safe while operating a car. Sometimes, however, an accident is unavoidable. If you or someone you know was injured in a New Jersey car accident, you should speak with a qualified personal injury lawyer as soon as possible. Richard Stoloff is an experienced personal injury attorney who can help you explore your legal options. Contact Mr. Stoloff today to schedule a free consultation.